At a time in the mid 1960s when pop music styles were radically changing, there were a number of West Midlands groups leading the new revolution. Though short-lived, Deep Feeling were without doubt, one of the bands at the cutting edge of this new revolution. Despite the talent and obvious potential of this line-up, events would terminate the group before they found major success. Deep Feeling were previously known as The Hellions, a well known Worcester-based band which had included guitarist Dave Mason. The Deep Feeling were fronted by former Hellions drummer/vocalist Jim Capaldi with the other members comprising of lead guitarist Luther Grosvenor, Gordon Jackson on rhythm guitar, bass guitarist David Meredith and drummer/vibes player John “Poli” Palmer. The band started using the name Deep Feeling in 1966 (some sources claim Dave Mason was in the group but Dave was never part of the Deep Feeling line-up). Deep Feeling concentrated on performing around the Birmingham area and managed to build up quite a following. They also started playing a heavier, psychedelic-influenced style of music with Jim Capaldi, Gordon Jackson and Poli Palmer all writing original songs for the group. A number of tracks were recorded in the studio by the band but the only one released to-date has been the Capaldi/Jackson/Palmer composition Pretty Colours. All the band members sang and Gordon Jackson would substitute on drums when Poli Palmer was playing vibes or flute. The Deep Feeling made regular trips down to London. Gordon Jackson recalls a night when the band were playing at a London club called “Knuckles”. They were approached by former Animals bass guitarist Chas Chandler who had just arrived back from the USA with a young black guitar player whom he now managed. Chas persuaded the members of Deep Feeling to let the American guitarist go on stage with them to play a set. The band reluctantly agreed but were soon amazed by the skill and brilliance of the unknown musician and later discovered they had participated in the first performance of Jimi Hendrix on a British stage. Meanwhile, former Hellions guitarist Dave Mason, drifted in and out of various groups, eventually taking the job of road manager/roadie with his old friends The Spencer Davis Group. There was a hip new club in Birmingham called The Elbow Room on Aston’s High Street in Birmingham. It was there where Jim Capaldi and Dave Mason along with Steve Winwood from the Spencer Davis Group would sometimes get together on stage with saxophone/flute player Chris Wood from Cradley Heath who had played in an early line-up of the Birmingham group Chicken Shack and was currently in a band called Locomotive. 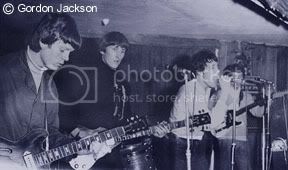 In this way, the Elbow Room became the setting for the formation of a new band and by early 1967, Steve Winwood had left the Spencer Davis Group and along with Jim Capaldi, Dave Mason, and Chris Wood, had formed the first line-up of Traffic (see Traffic). With Jim Capaldi’s departure, the other members of Deep Feeling decided not to continue without their front-man and so went on to other musical projects. Poli Palmer joined a band called Blossom Toes and later became a member of the highly acclaimed progressive rock outfit “Family”. Luther Grosvenor went on to become a founding member of Spooky Tooth and also played in Mott The Hoople during the early 1970s under the alias of “Ariel Bender”. Gordon Jackson recorded a brilliant but under-promoted solo album in 1968 which had musical contributions by Steve Winwood, Jim Capaldi and Dave Mason. After spending time in various other bands he went on to work in a non-performing capacity for Steve Winwood. and to Gordon Jackson for assistance in writing this feature. Good to find the info on your site.